The West Wing is an exclusive private wing of the Kingsbay Mansion with 5 bedrooms & 3 bathrooms. 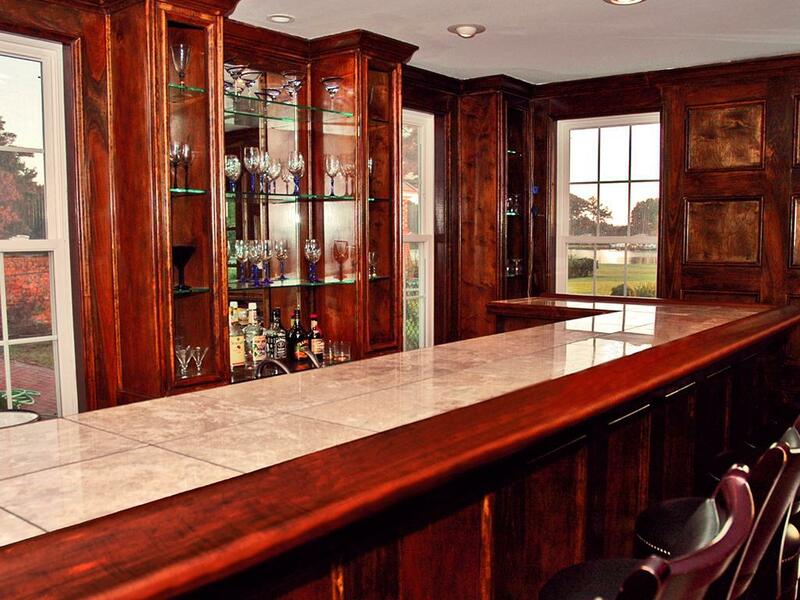 The West Wing comes with a custom bar room that seats 12, a Great Room that provides theater seating for 15 people at one time and a fully out fitted Kitchenette for cooking. There is a three day minimum room booking for The West Wing. 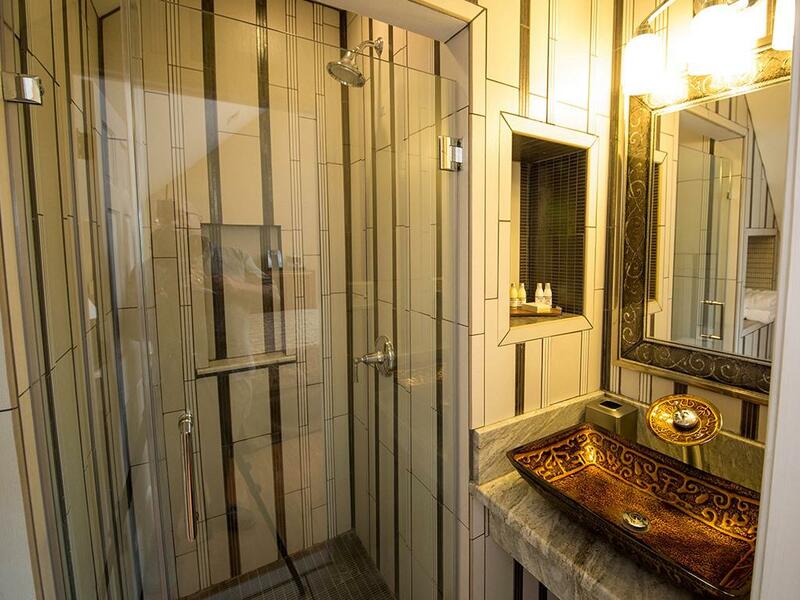 The Ambassador is a Luxury King Suite. 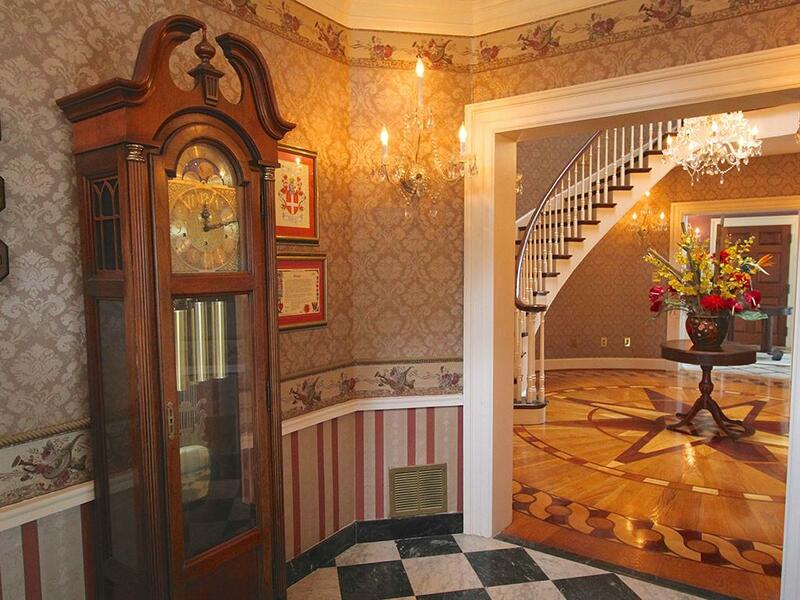 On the mansions third floor, its vast fourteen foot ceilings give the feeling of grandeur and extravagance. A massive wall of Monticello windows and twenty foot plush window seat overlooks the Grecian pool with fountain and out to Coulbourn Creek. 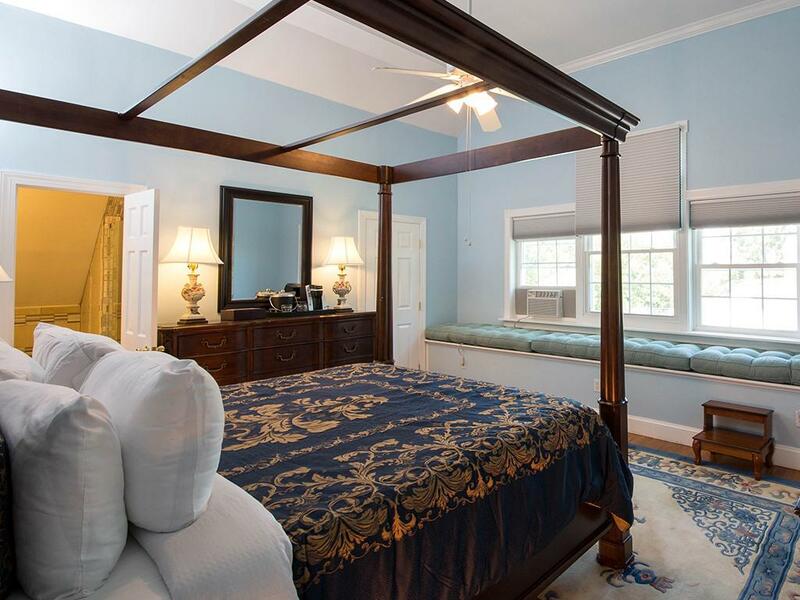 Its powder blue walls, white moldings and large lit ceiling fans give way to elegant cherry flooring and furnishings fit for royalty. 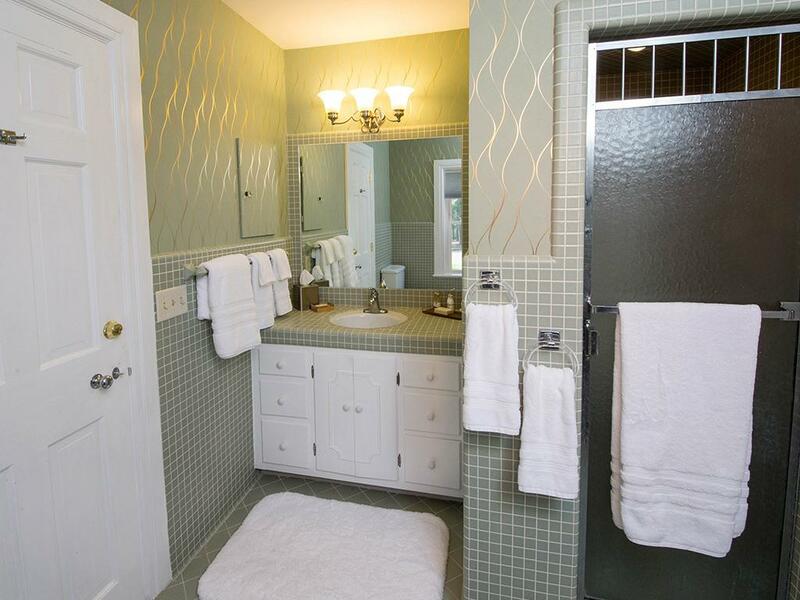 Its bath is richly tiled in light hues and boasts a vaulted glass shower and ceramic bench. This suite also has its own cozy viewing room with love seat and handsome HD flat screen television for late night viewing. 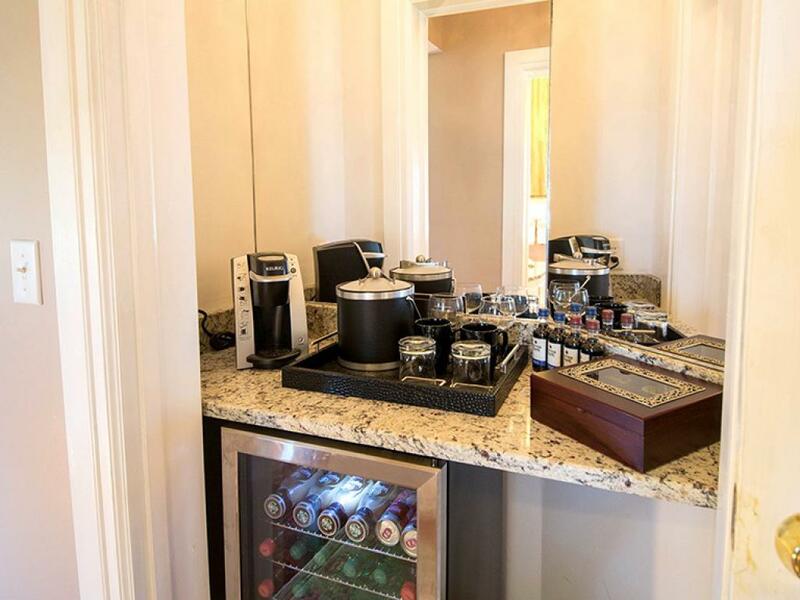 A server with Keurig coffee maker, attractive glassware, and an endless variety of hot beverages stand at attention for your enjoyment. 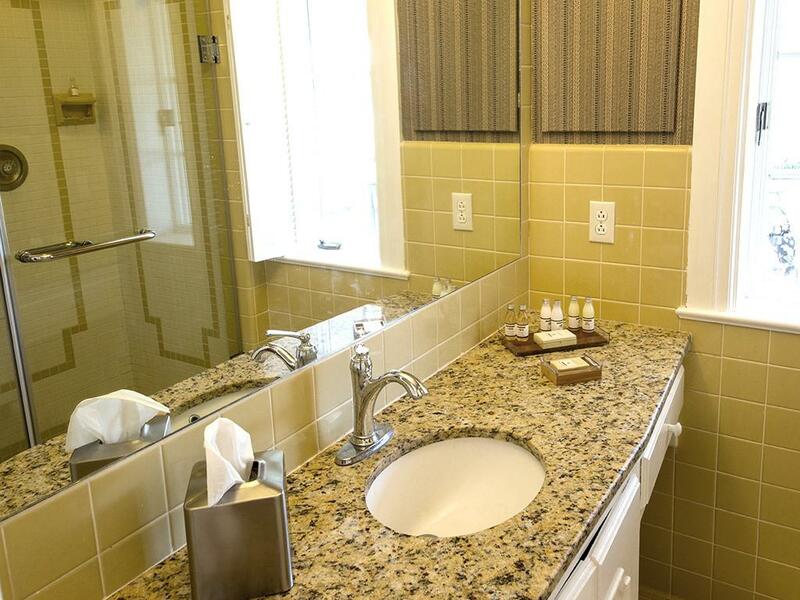 The Diplomat is a luxury king suite. 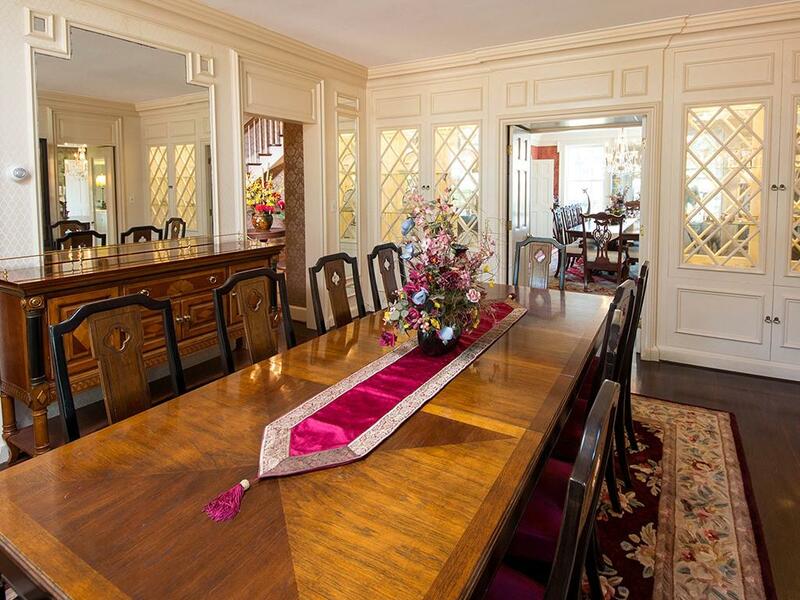 This extraordinary space has undoubtedly the most dazzling view of the entire mansion. Facing eastward, its towering Monticello windows frame an inspiring panorama of the water that is breath taking. 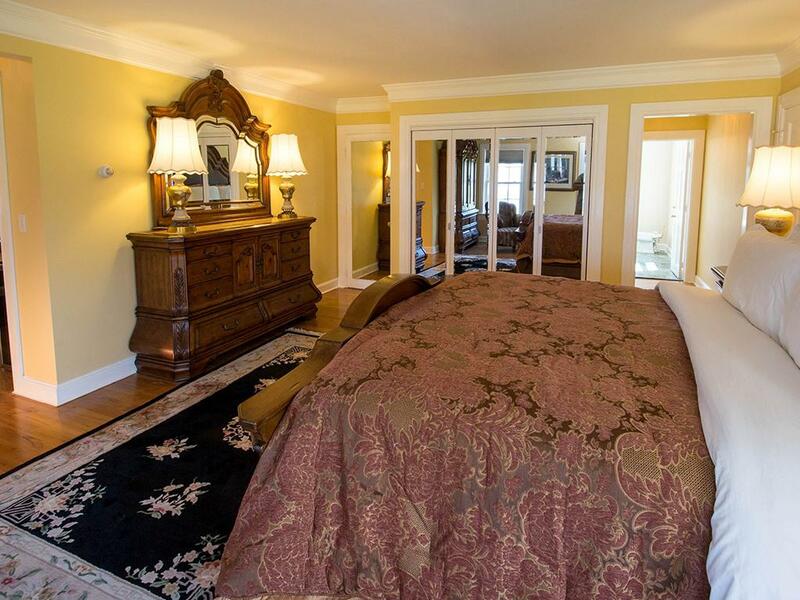 Suite colors of gold and white are complimented by a king bed wall lamped end tables for late night reading. 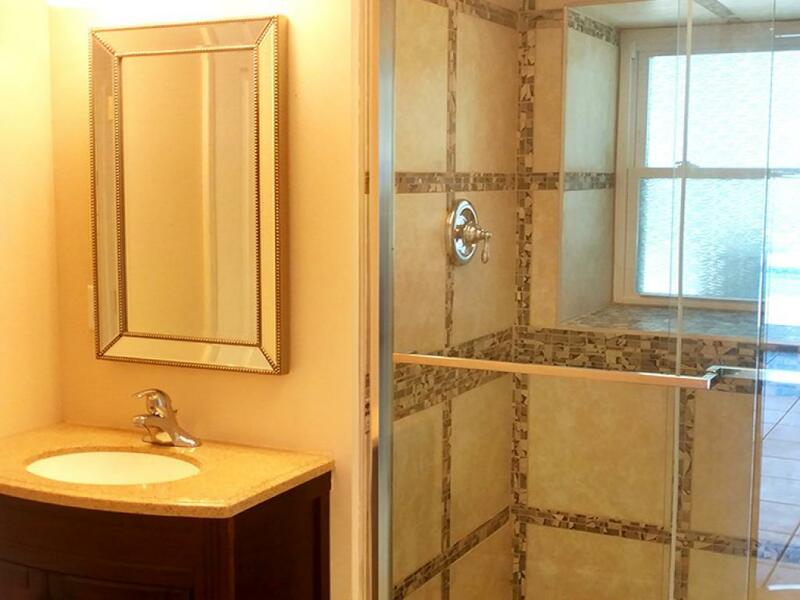 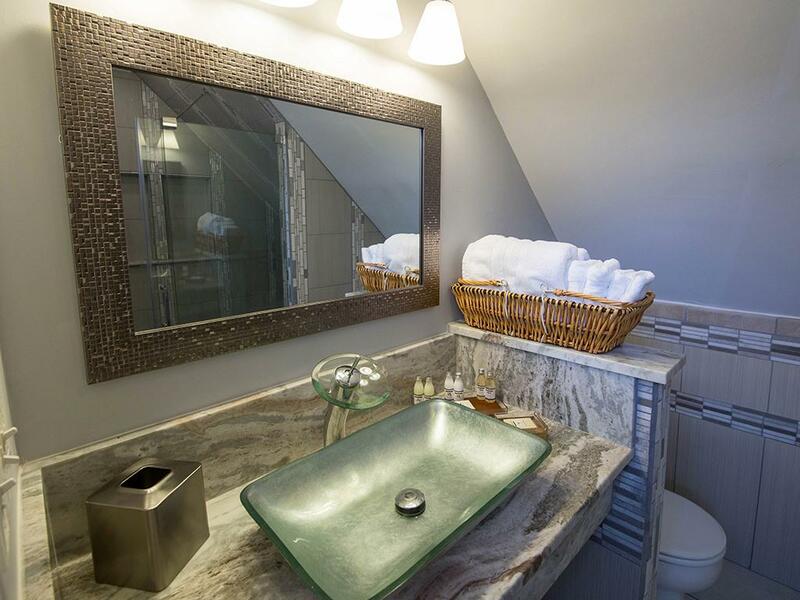 Soft oriental carpets open into an artfully tiled bathroom with large glass door shower. 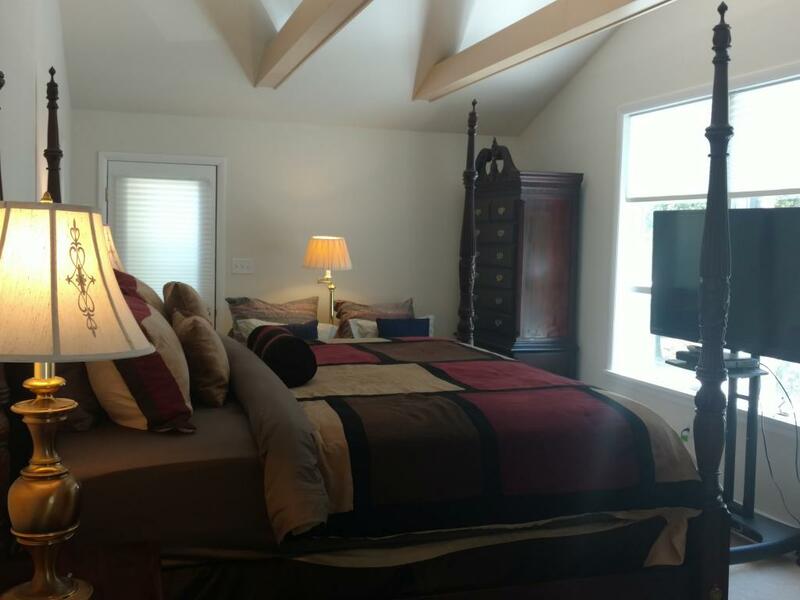 Like all suites at Kingsbay, the Diplomat is equipped with handsome HD flat screen television, server with Keurig coffee maker, attractive glassware, and an endless variety of hot beverages for those early morning views of stunning sunrises. 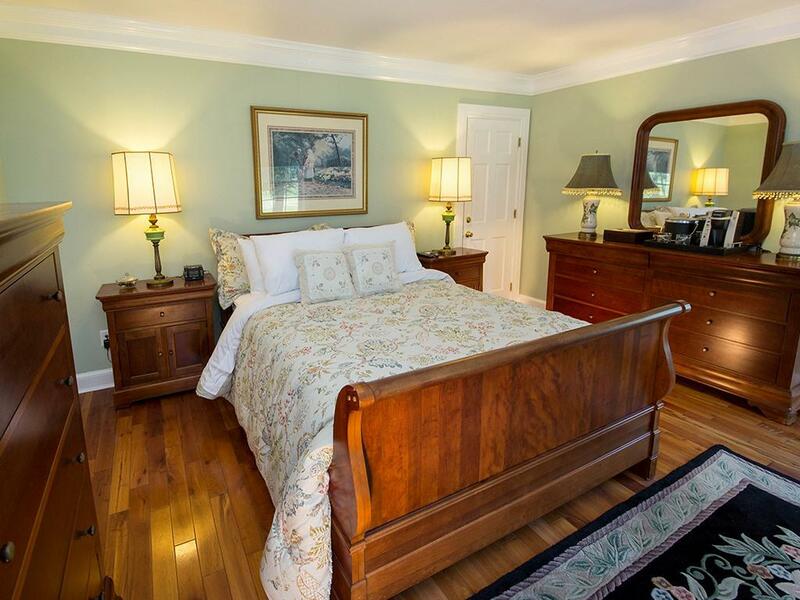 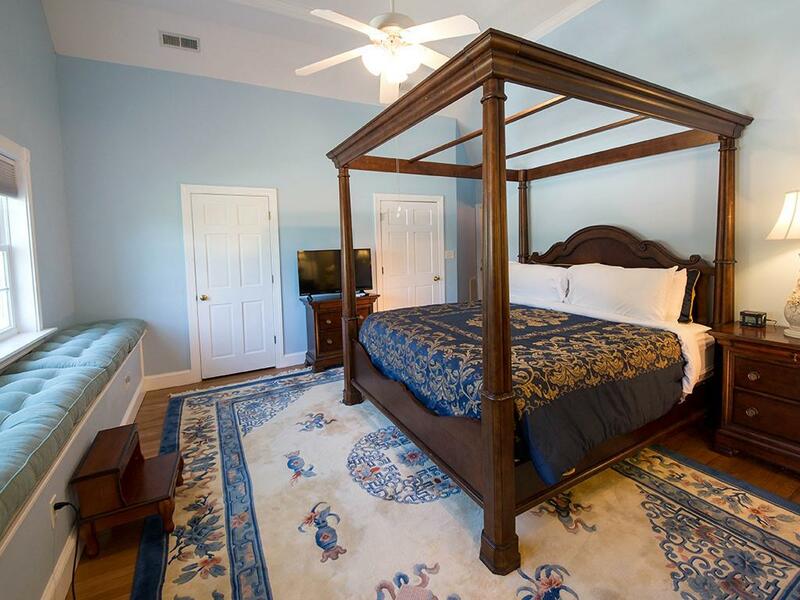 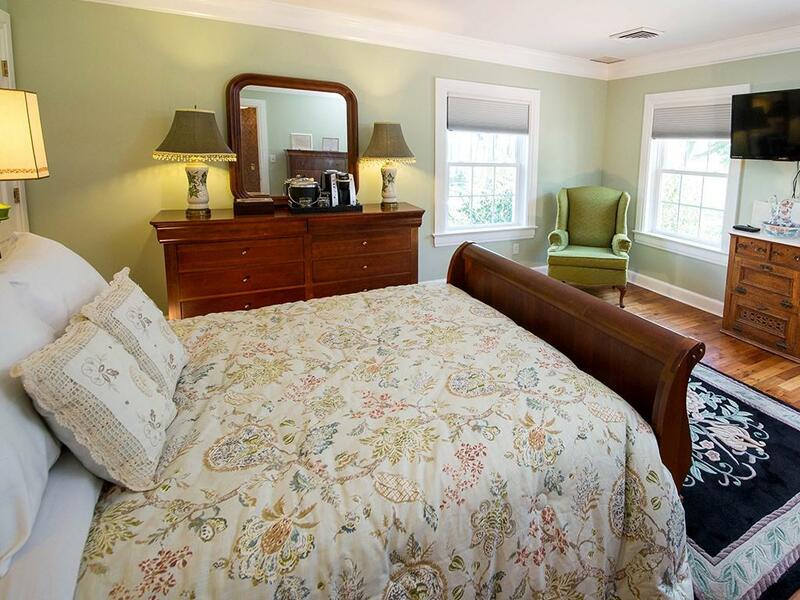 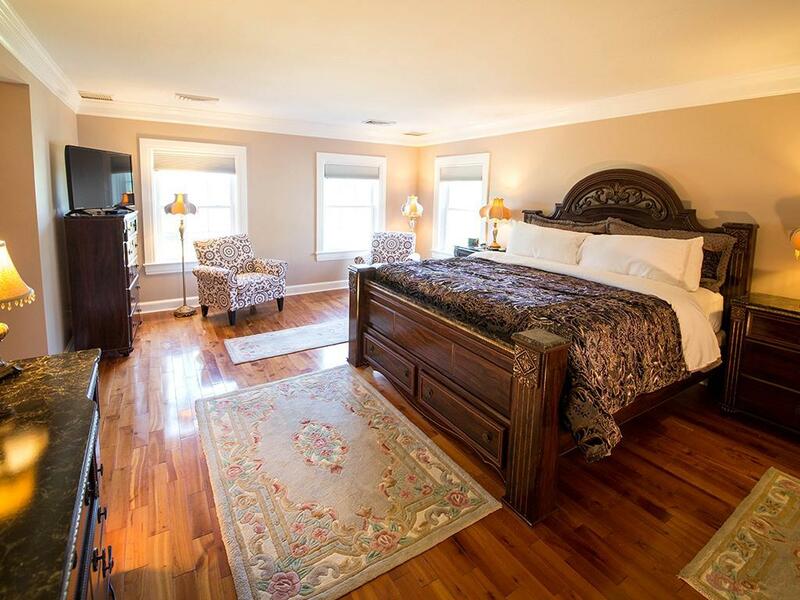 The Premier is a luxury queen suite overlooking Coulbourn Creek, on the second floor, and just off the grand portico mansion entrance, this inviting space boast a grand sleigh bed and warm cherry floors. 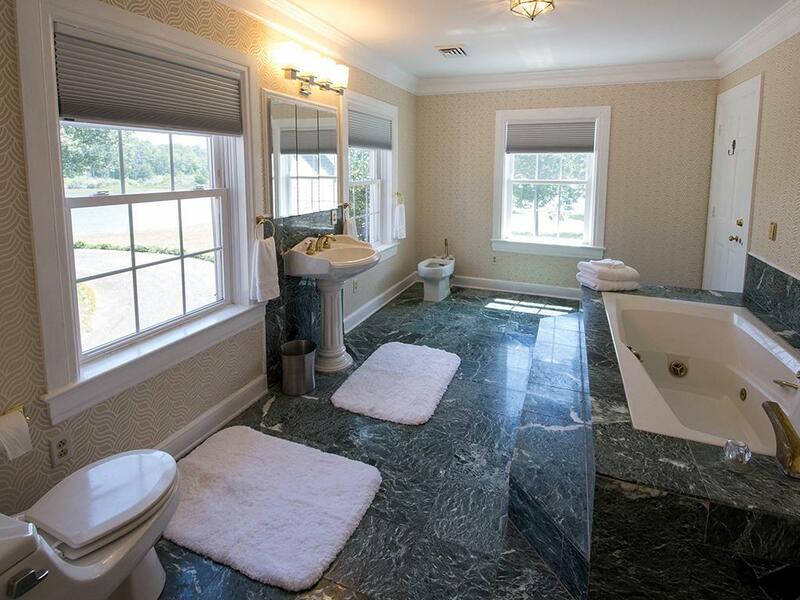 Its restful sage green walls and impressive crown moldings lead to a private en suite bath with original ceramic tiles that look as if they were installed yesterday. 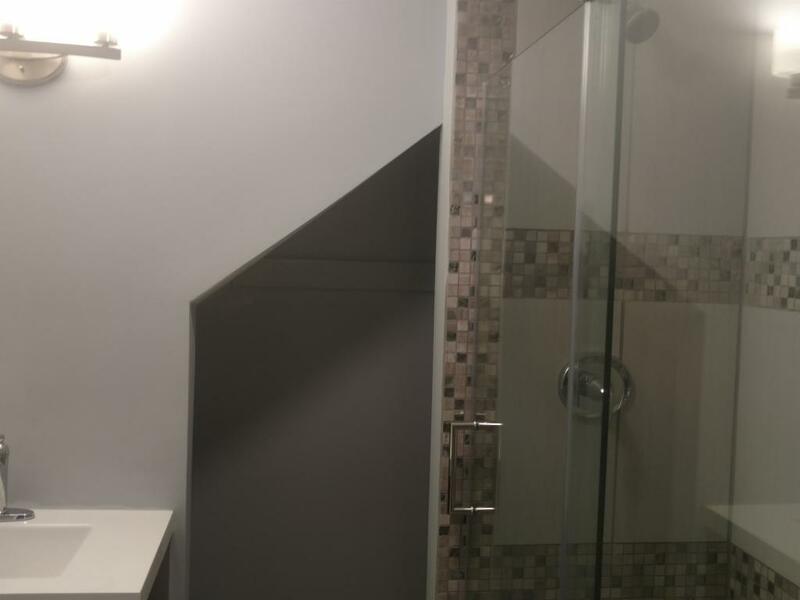 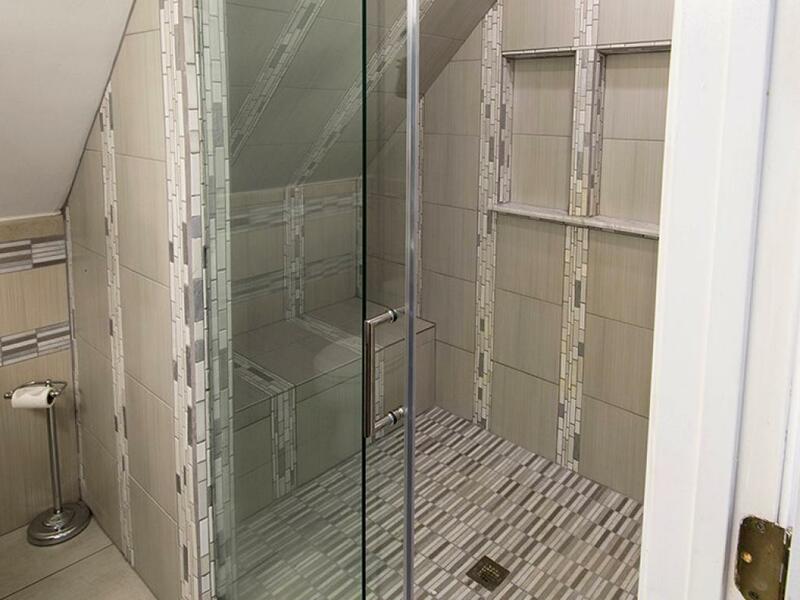 You’ll enjoy a large, fully tiled shower suite. 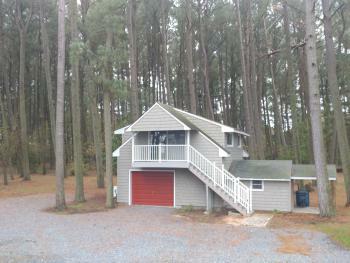 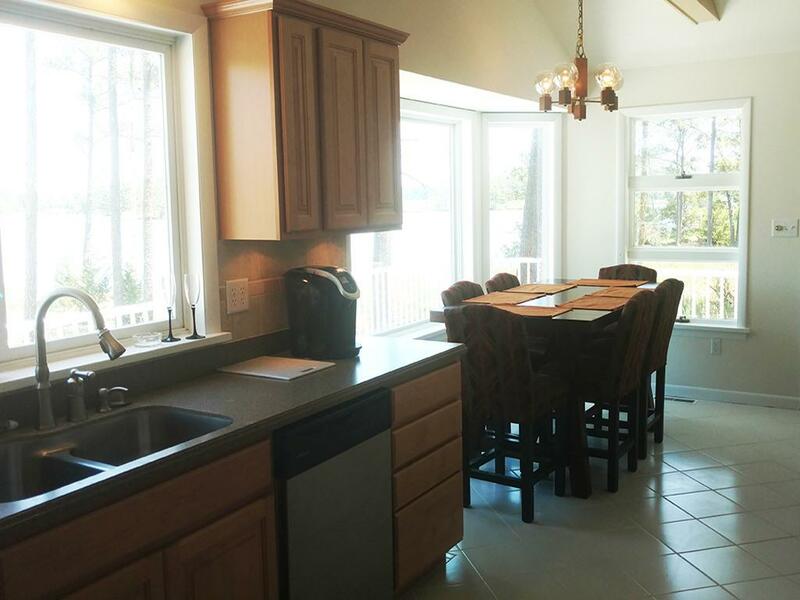 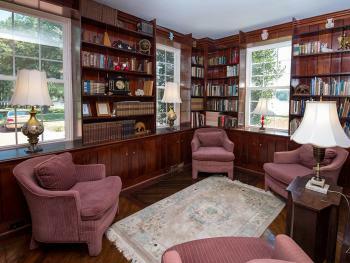 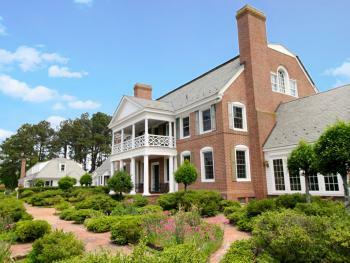 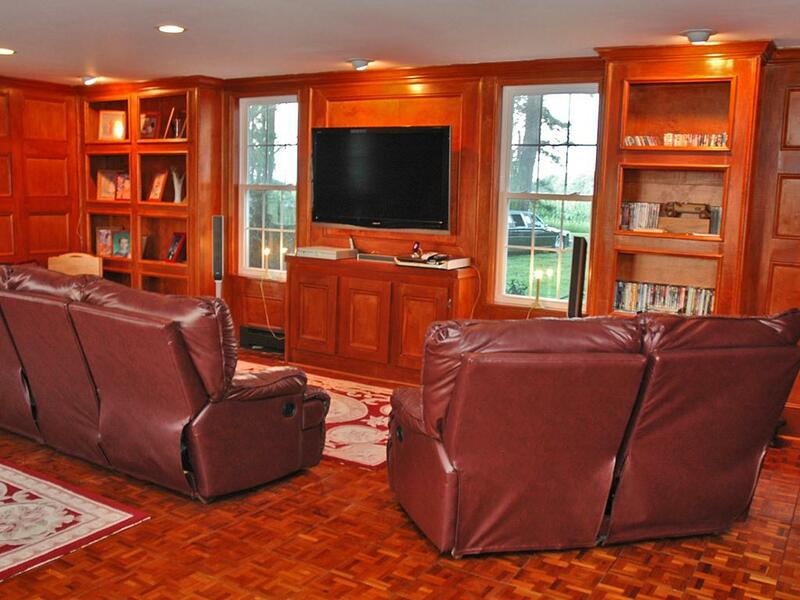 It has a water view and it looks out over fifty acres of prime Maryland pastureland. 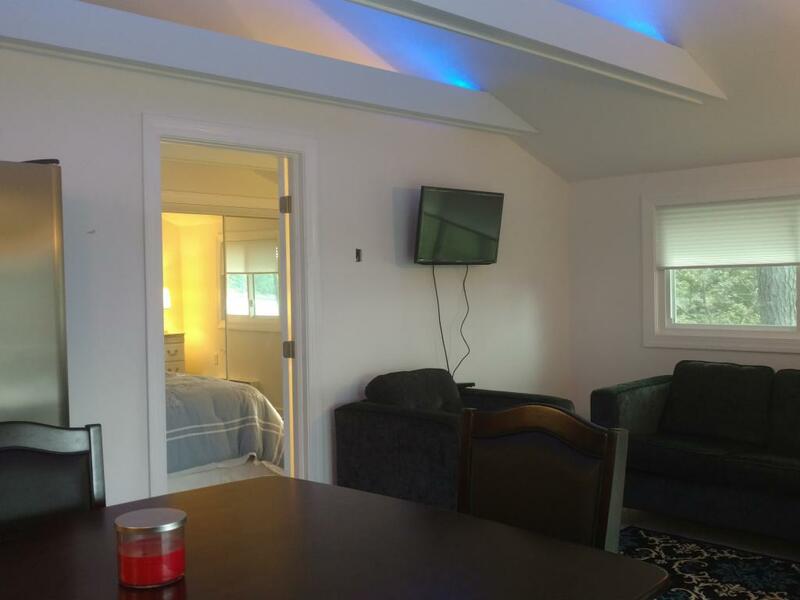 The premier is equipped with a handsome HD flat screen television and server with Keurig coffee maker, attractive glassware, and an endless variety of hot beverages for those leisurely late mornings. 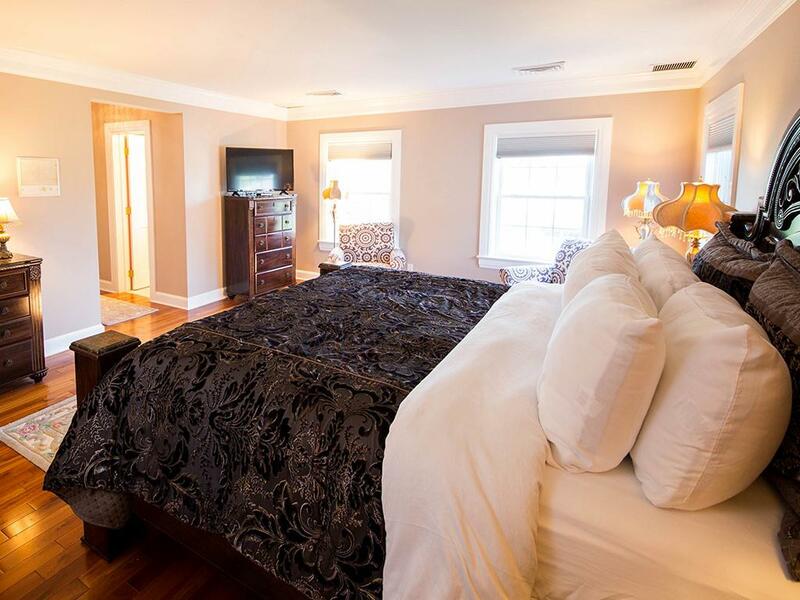 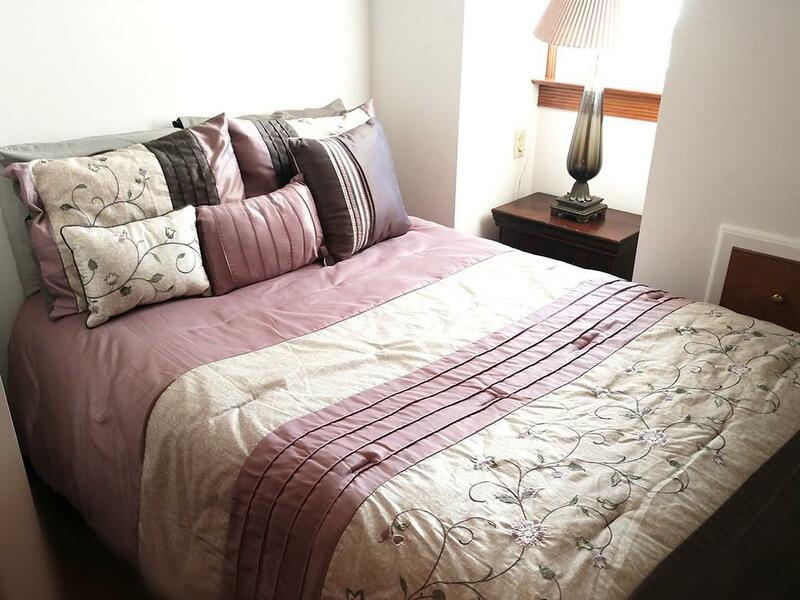 The Regal is a luxury king suite where you will be welcomed with soft colors of toupe and purple . 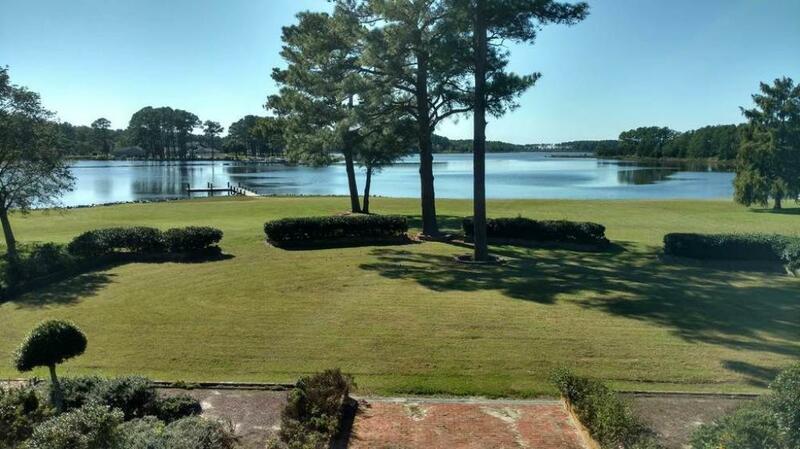 It too is just off the second floor lounging terrace and offers expansive views of Kingsbay’s Japanese gardens, lush green lawns and the shining blue waters of Coulbourn Creek. 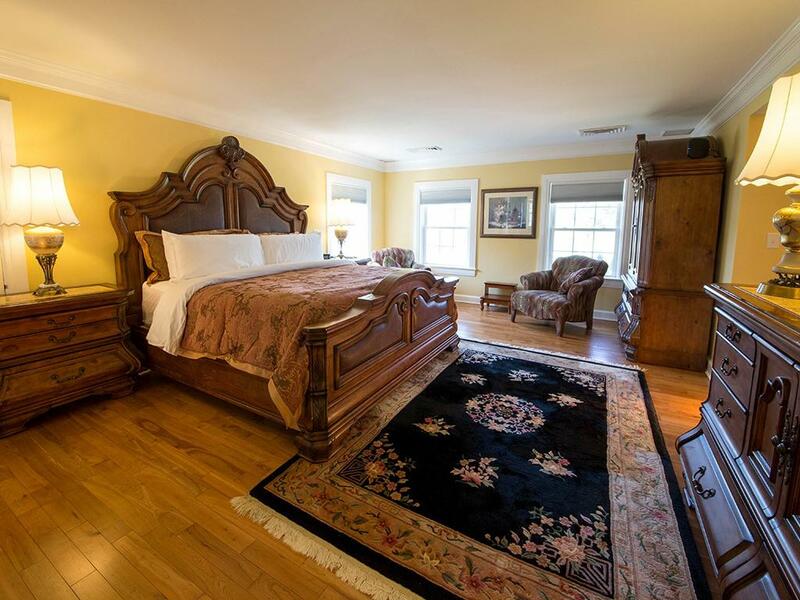 With oriental carpets, plush bedding and elegant furnishings, this exceptionally large king suite has a glass enclosed bath and shower with granite vanity. 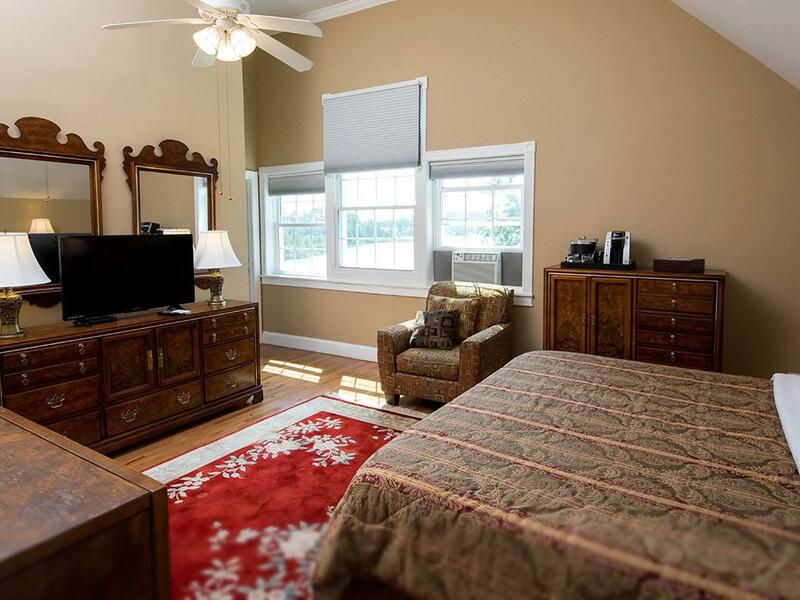 The Regal is equipped with a handsome HD flat screen television and server with Keurig coffee maker, attractive glassware and an endless variety of hot beverages for early morning or late night. 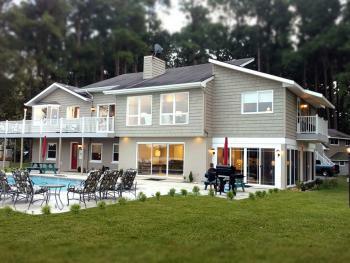 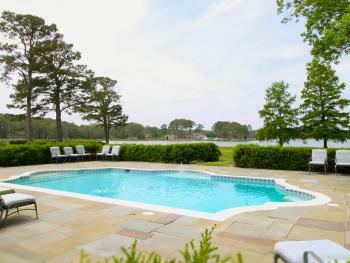 Kingsbay Waterside Retreat House is an elegant, modern, waterfront compound and definitely one of a kind. 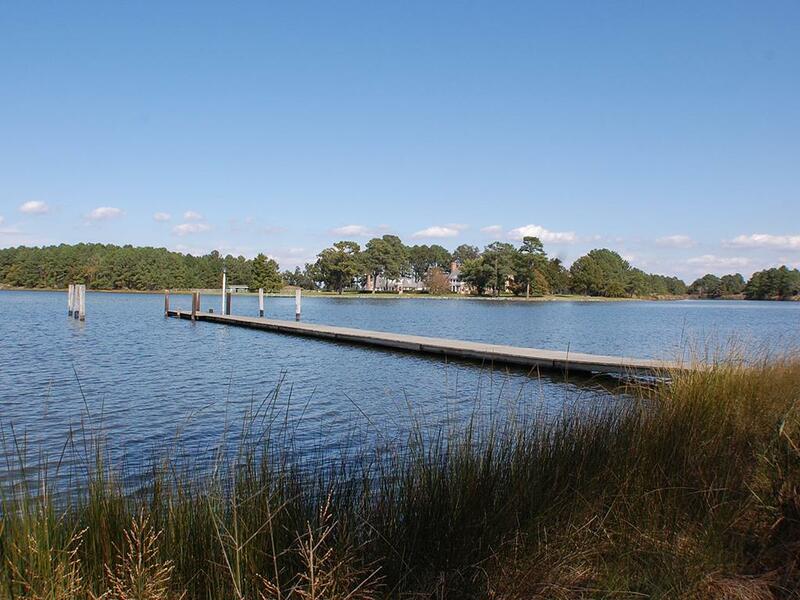 Located on Maryland's Eastern Shore, Waterside is situated on the peninsula of Coulbourn Creek at the mouth of the Chesapeake Bay just north of Crisfield Maryland. 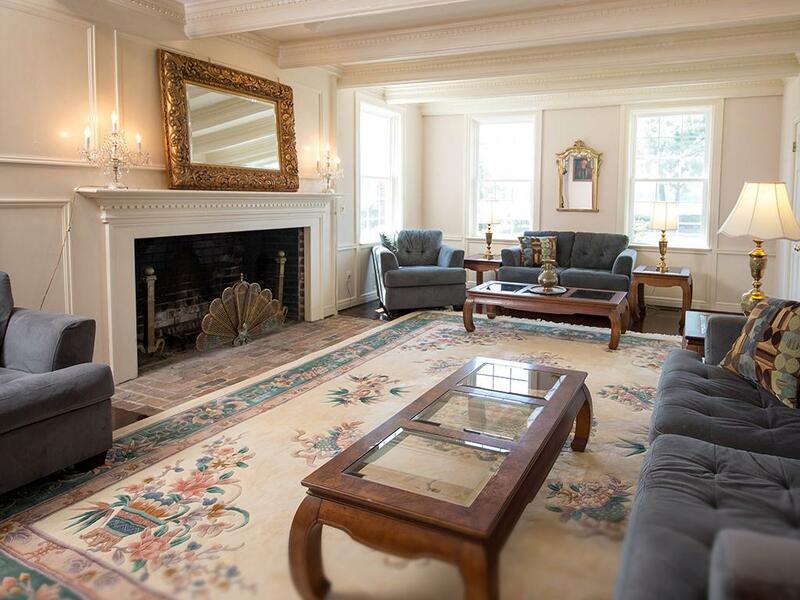 Recently purchased by the owners of Kingsbay Mansion, they bring their hospitality expertise and flair for design to this newly renovated property. 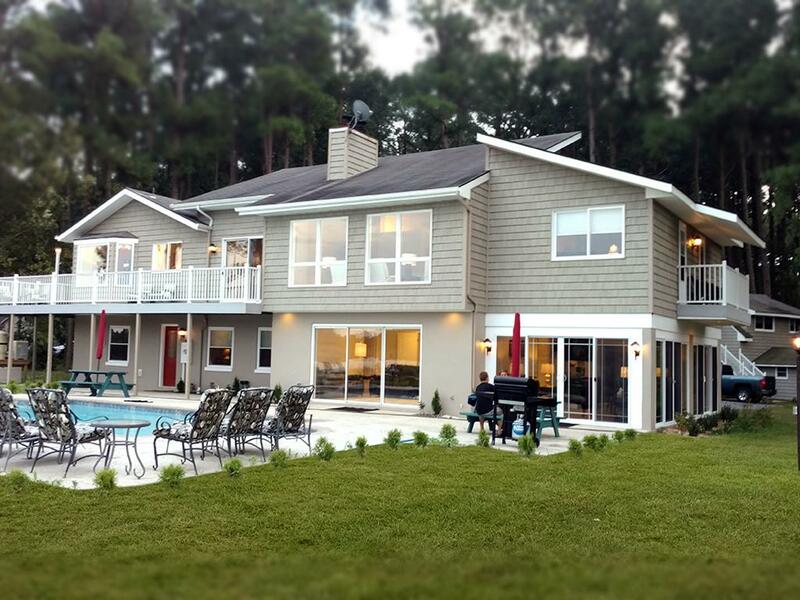 This private, modern, wooded compound has breath taking, panoramic waterfront with a 160-foot dock and new in ground swimming pool. 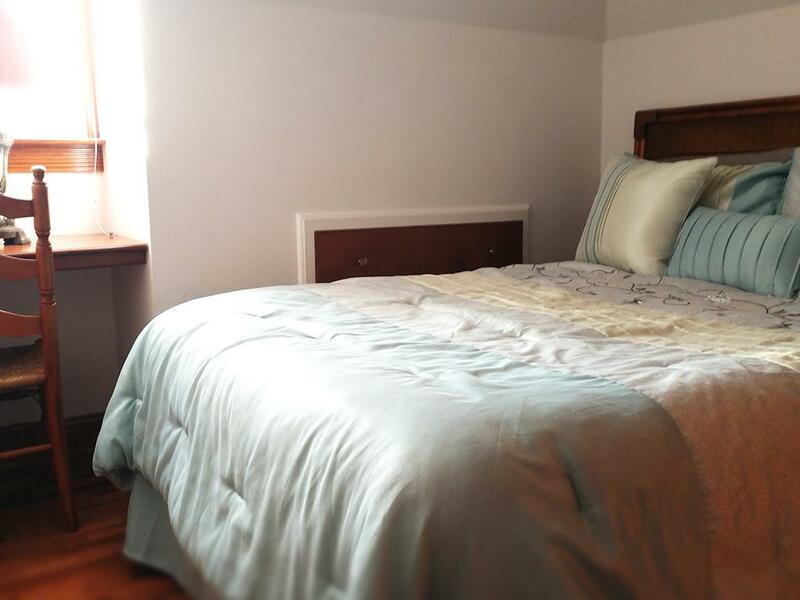 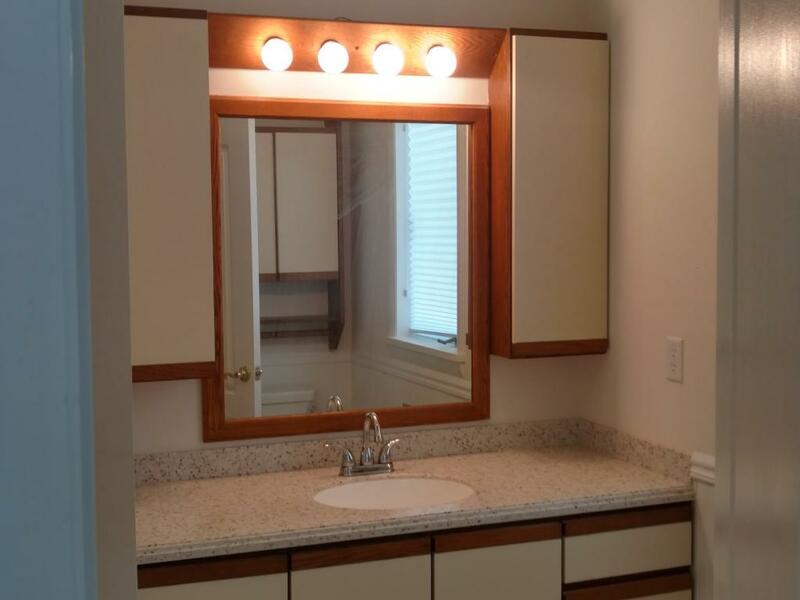 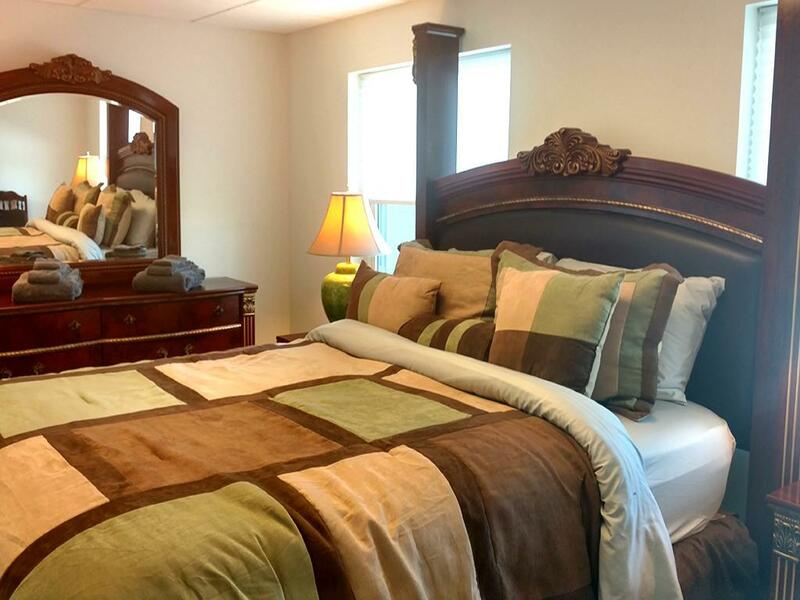 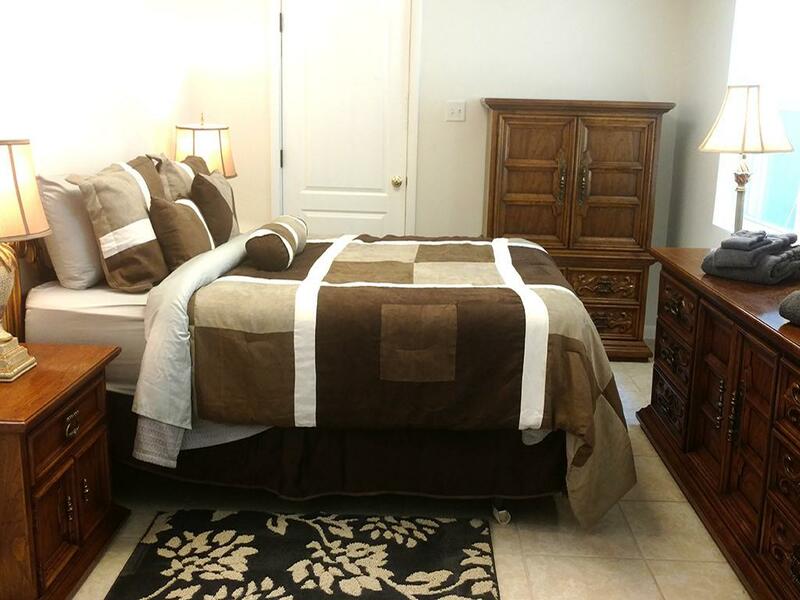 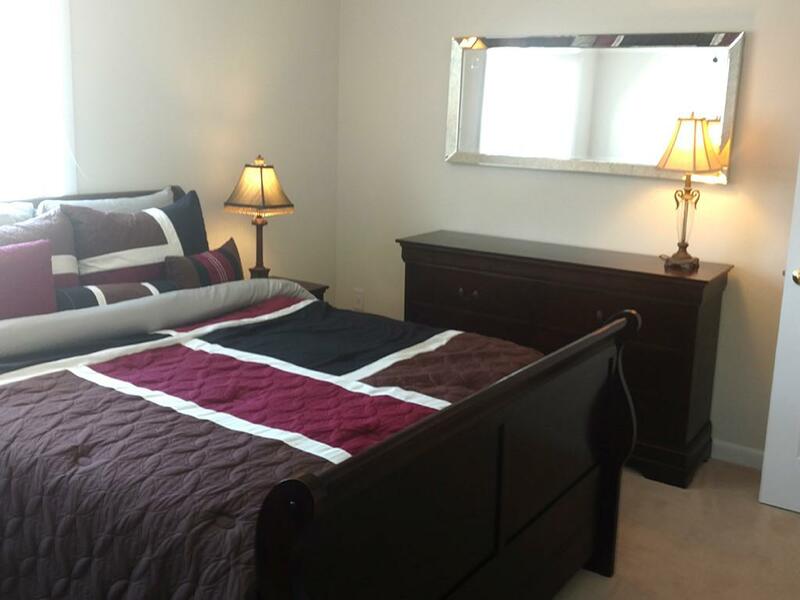 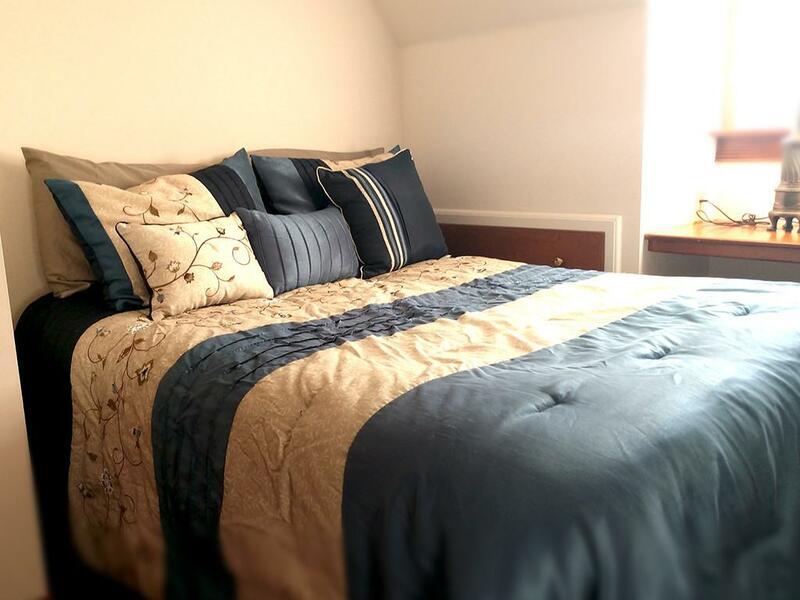 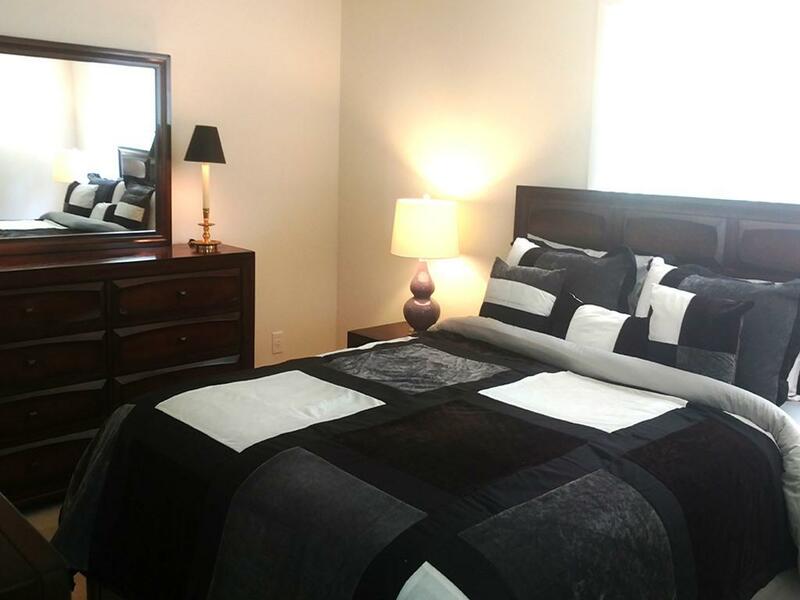 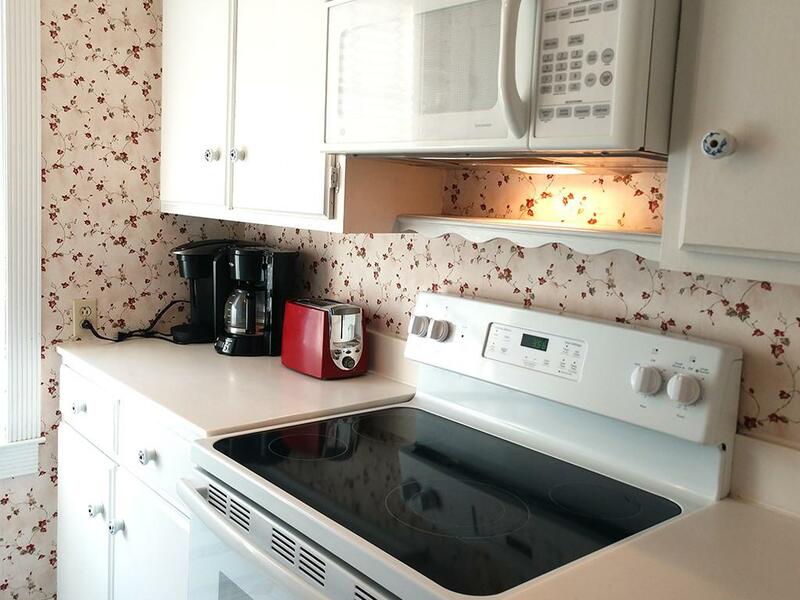 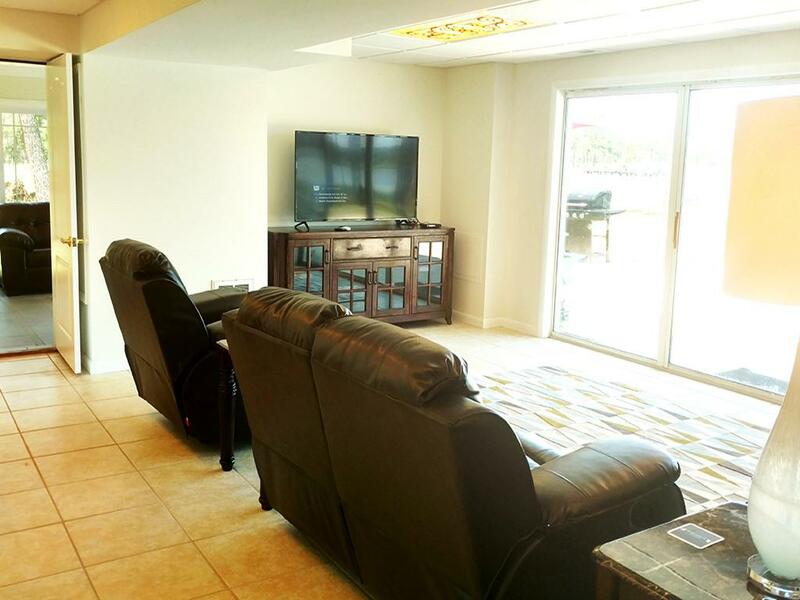 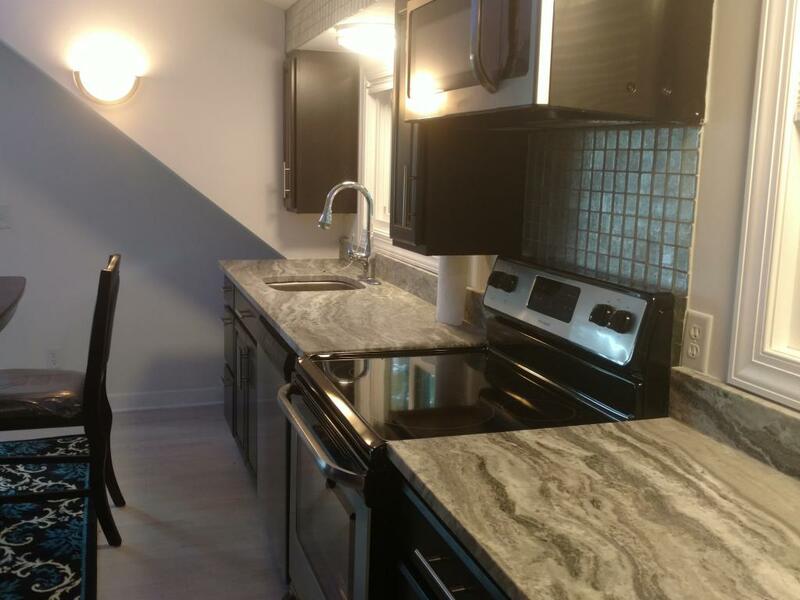 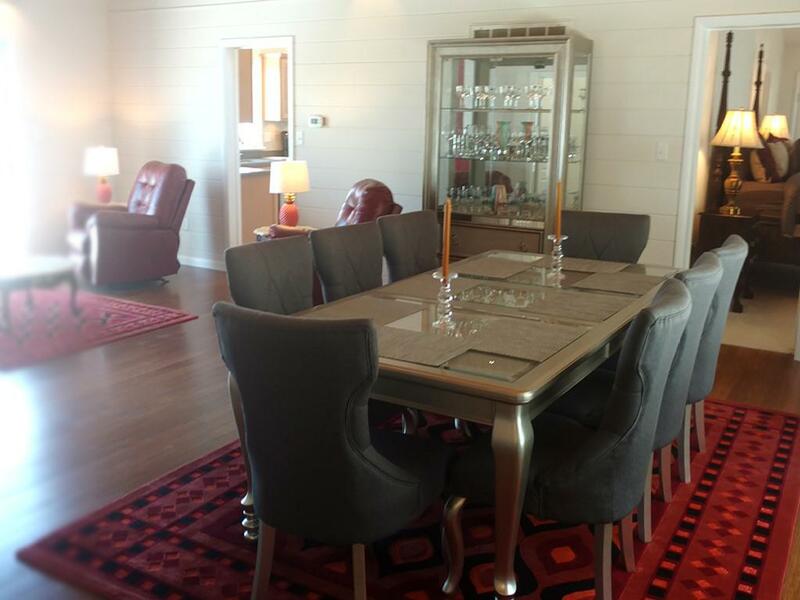 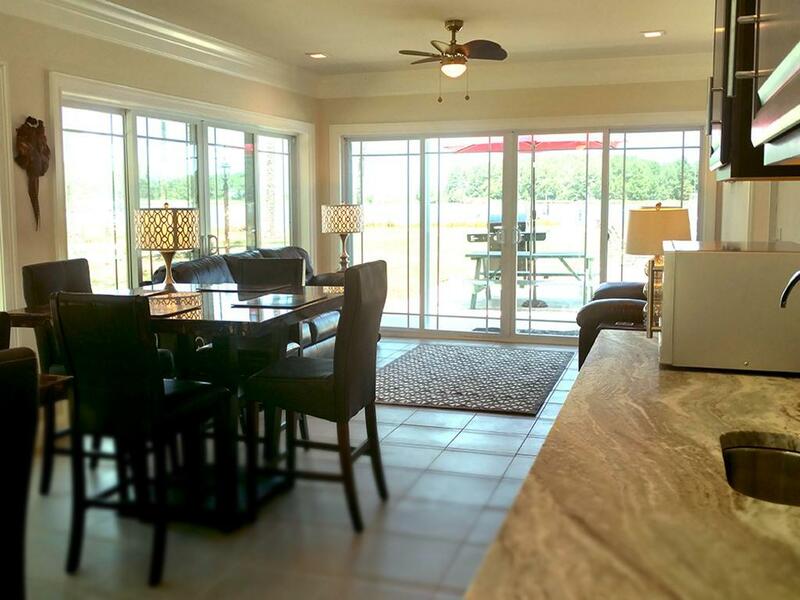 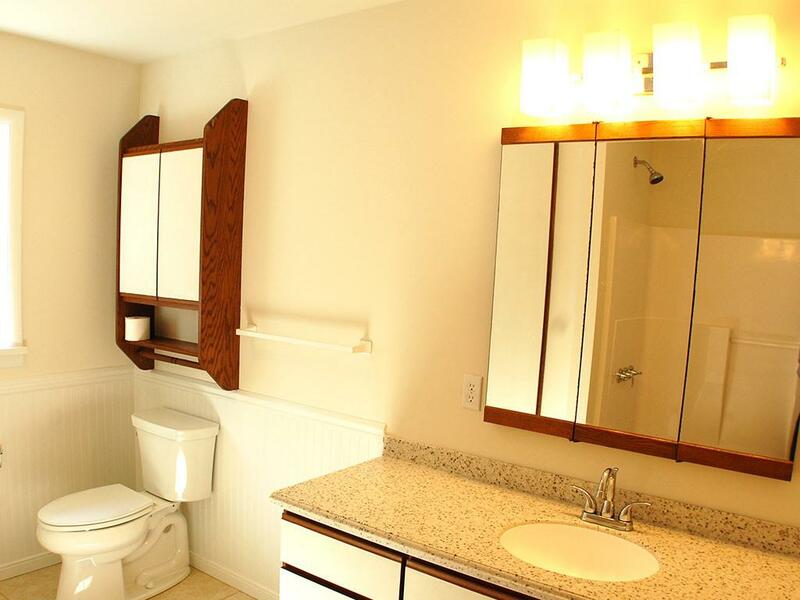 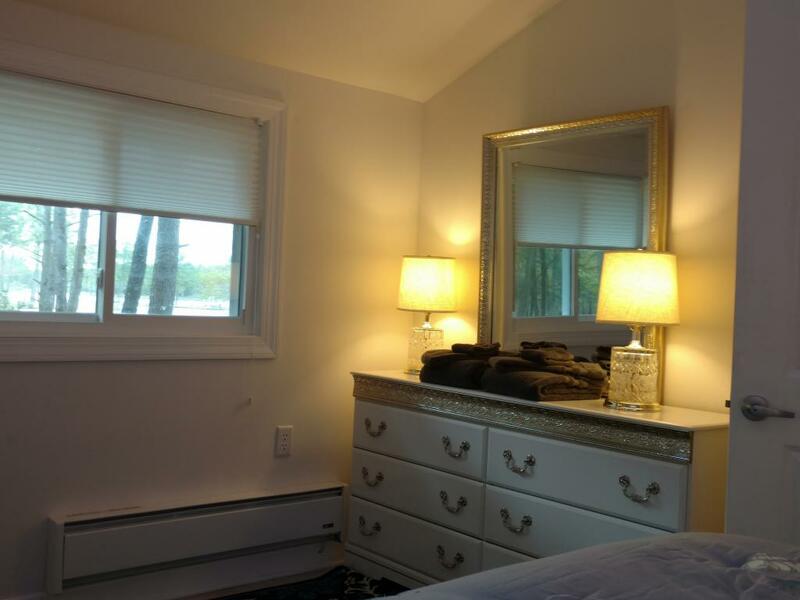 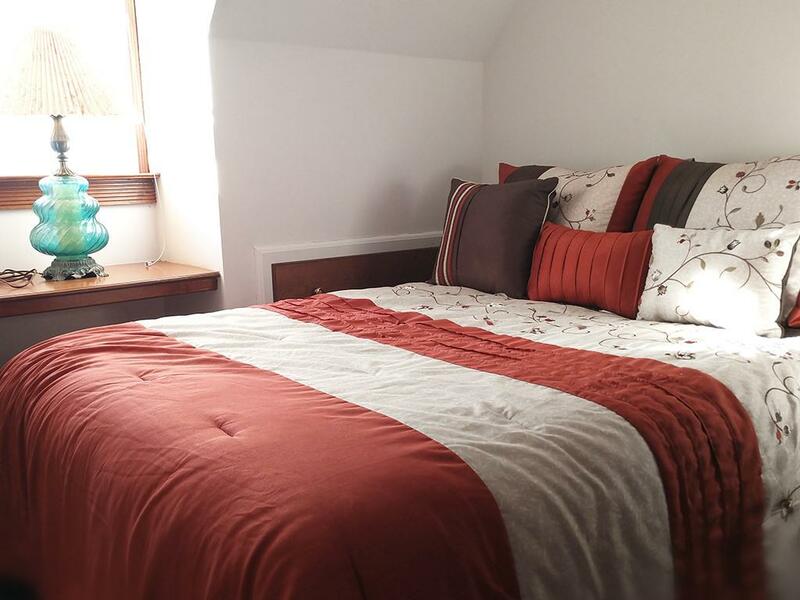 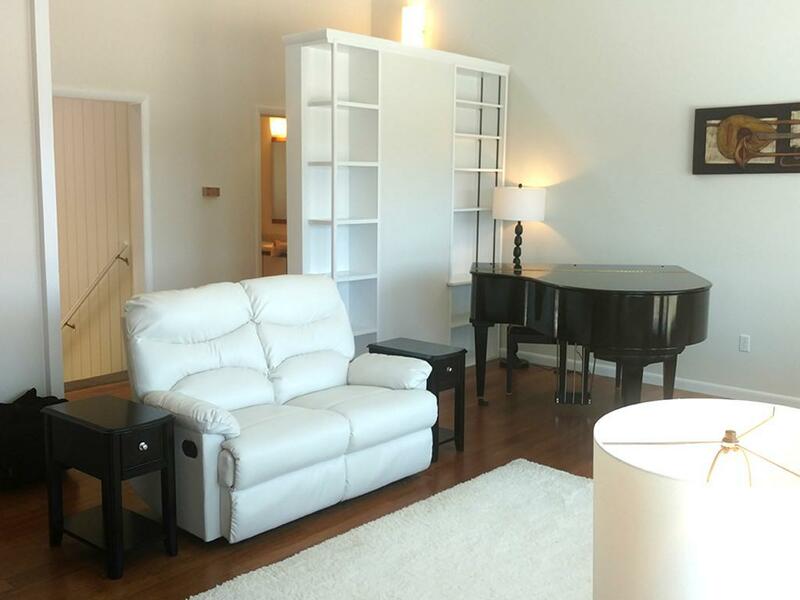 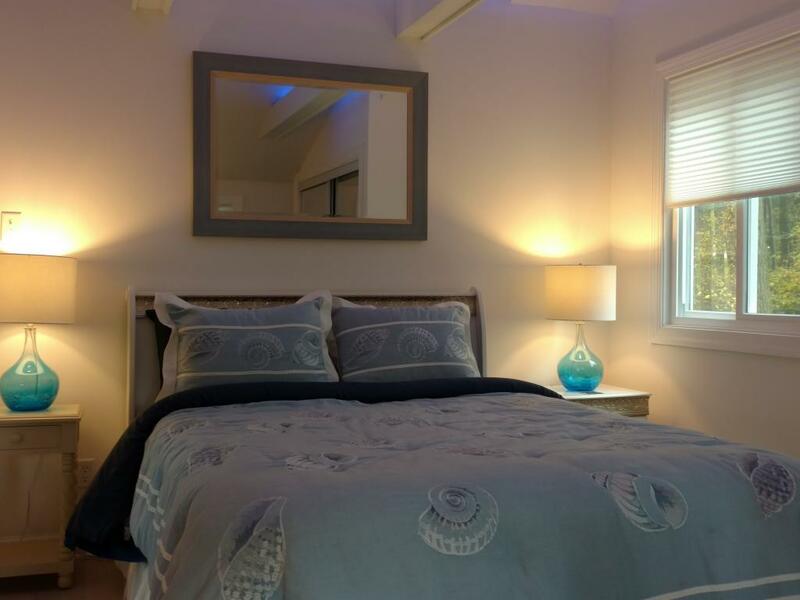 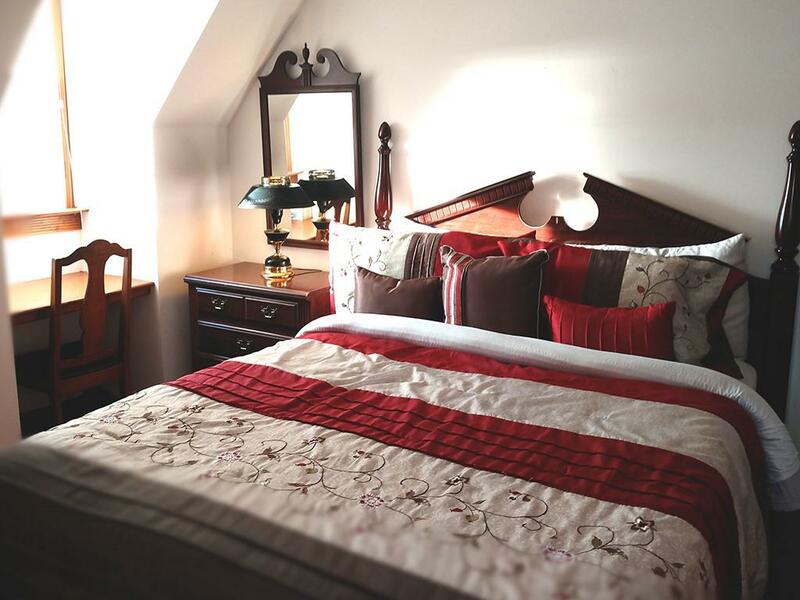 Waterside has five spacious bedrooms and three full baths. 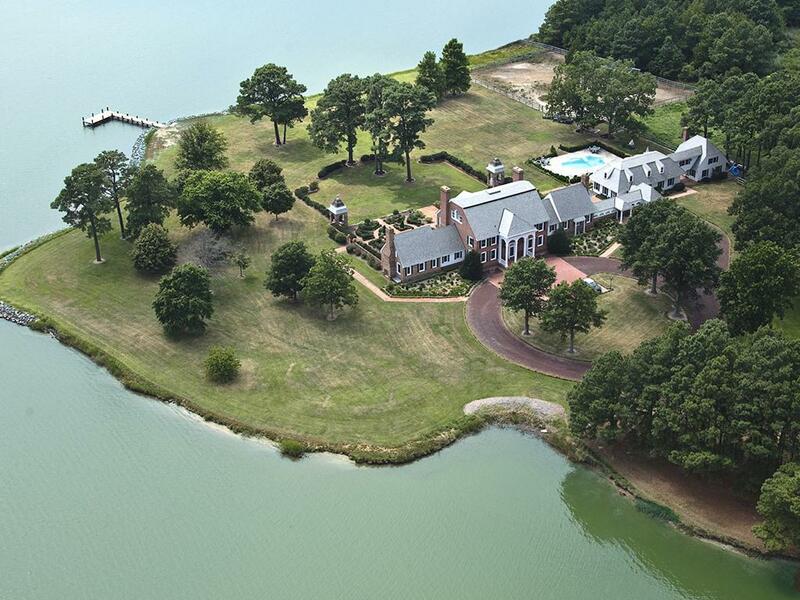 Kingsbay Mansion Executive B&B is a gated, elegant Georgian waterfront estate and one of a kind. 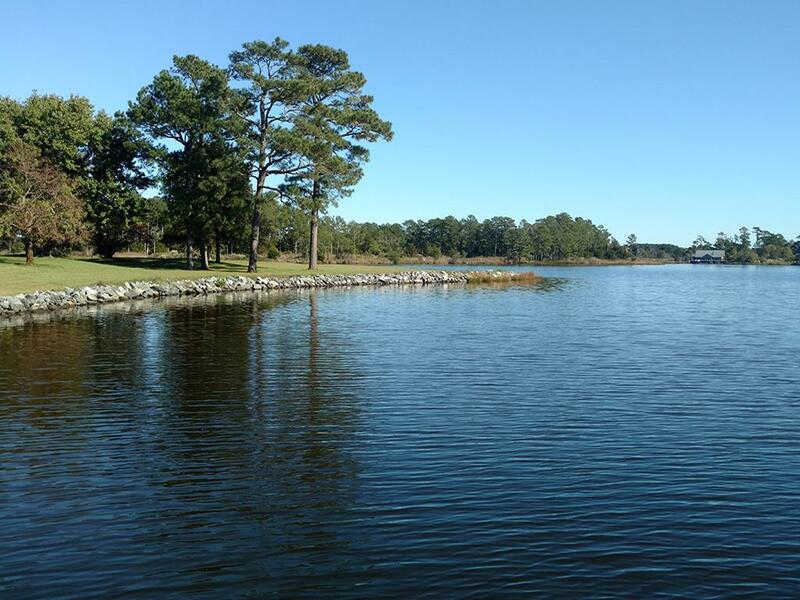 Located on Maryland's Eastern Shore, Kingsbay is situated on the peninsula of Coulbourn Creek at the mouth of the Chesapeake Bay just north of Crisfield Maryland. It is the largest private home in Somerset County and was designed by Ian McCallum, the architect for Colonial Williamsburg. 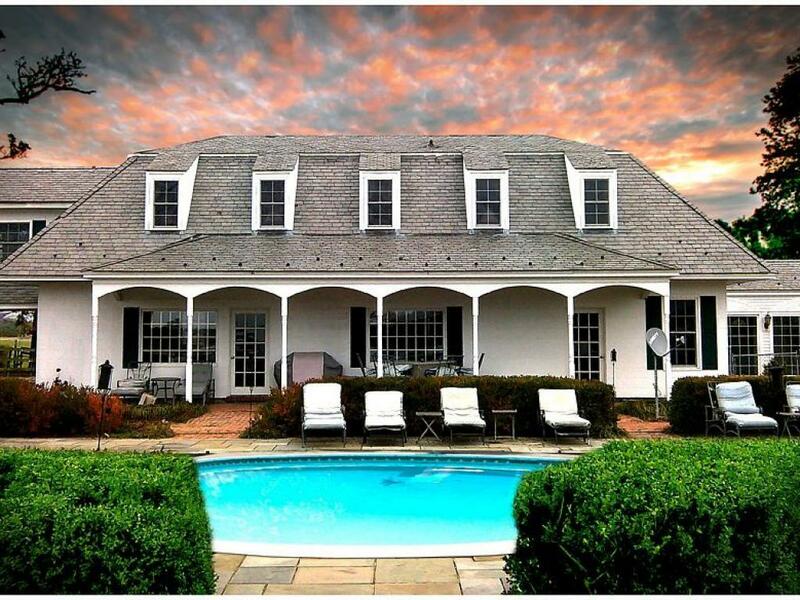 Built in 1970 on 7 acres and in middle of 500 acres of prime Maryland farmland, this estate offers 11 bedrooms, 10 full baths and 2 half baths. 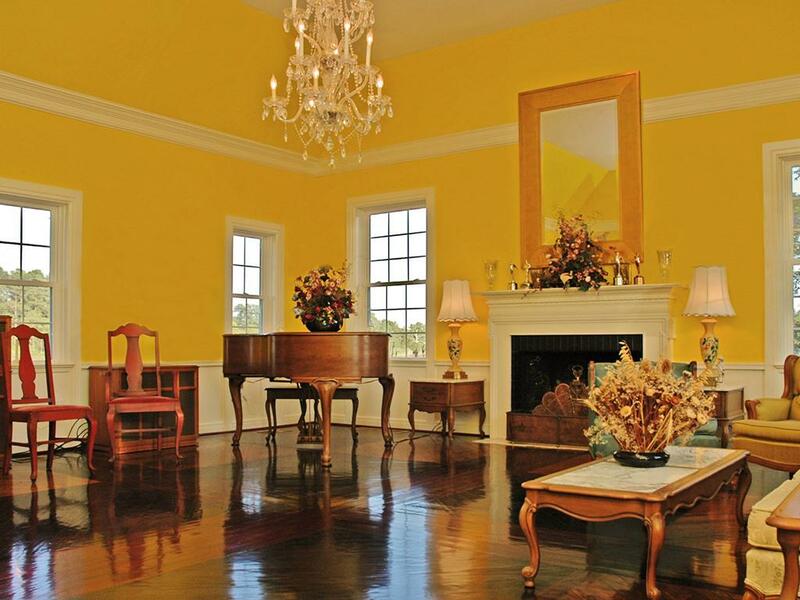 Starting In 2015, Kingsbay Mansion has been transformed into a breathtaking Executive B&B and Private Event Center. 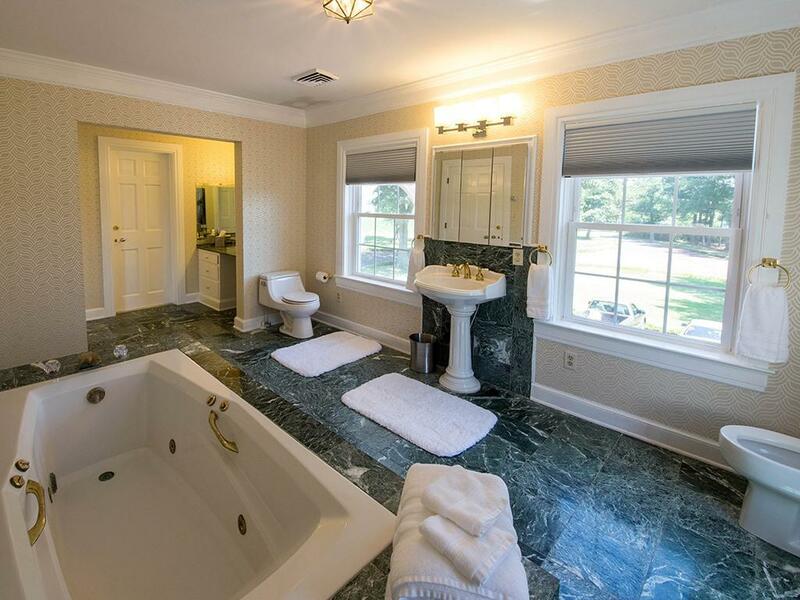 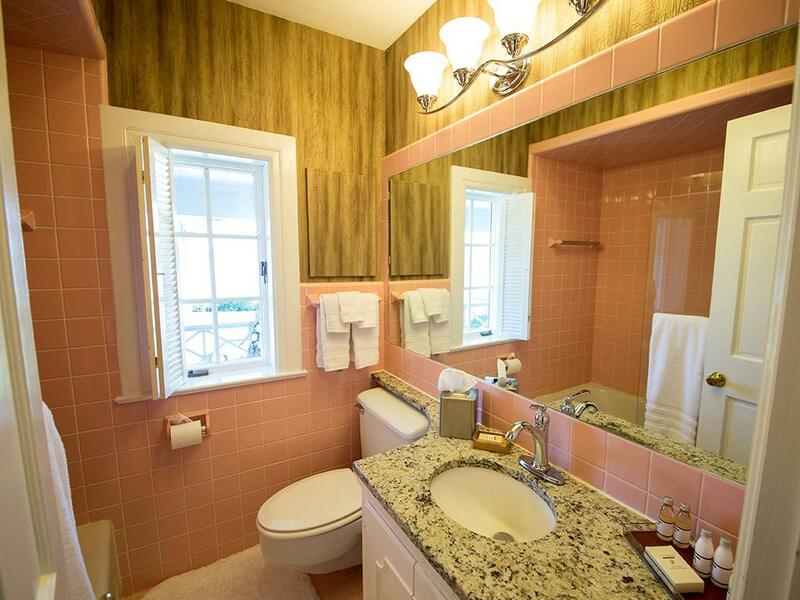 Five of its spectacular suites with private baths are being offered as part of the Kingsbay Mansion B&B. 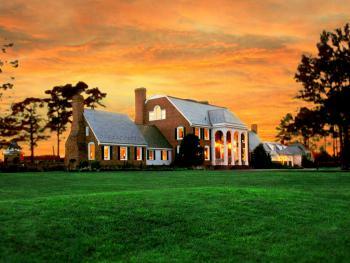 The entire estate is available for private functions, corporate events and destination weddings. 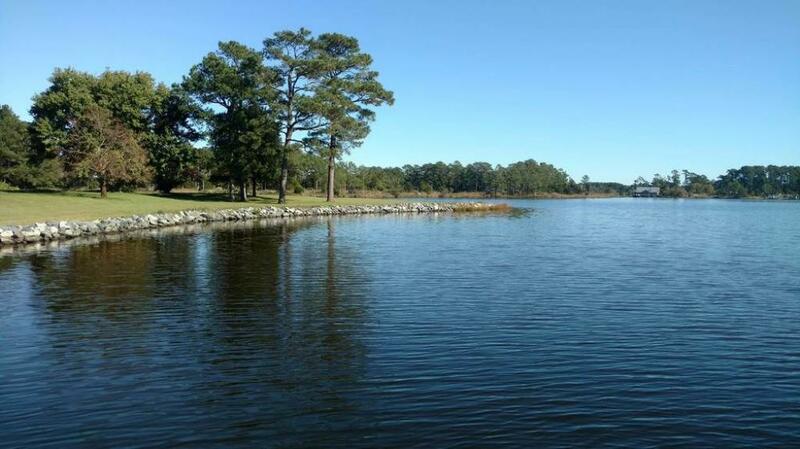 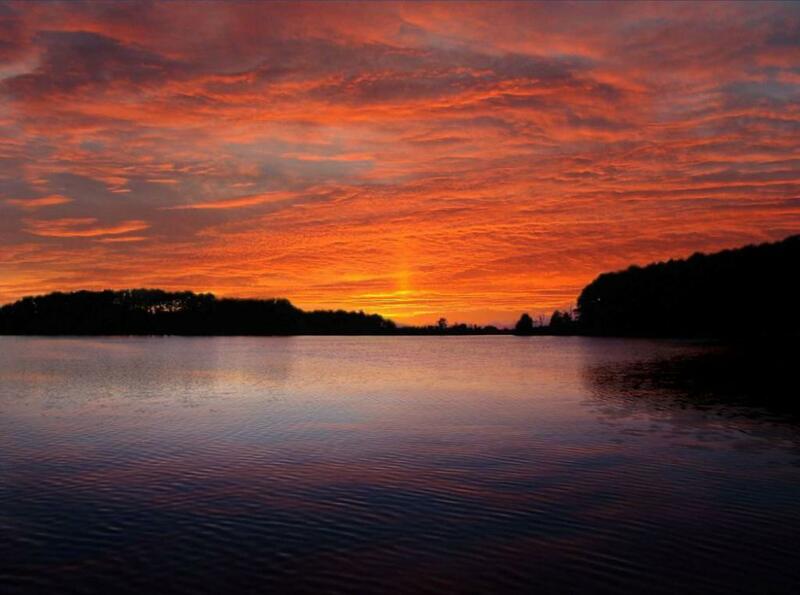 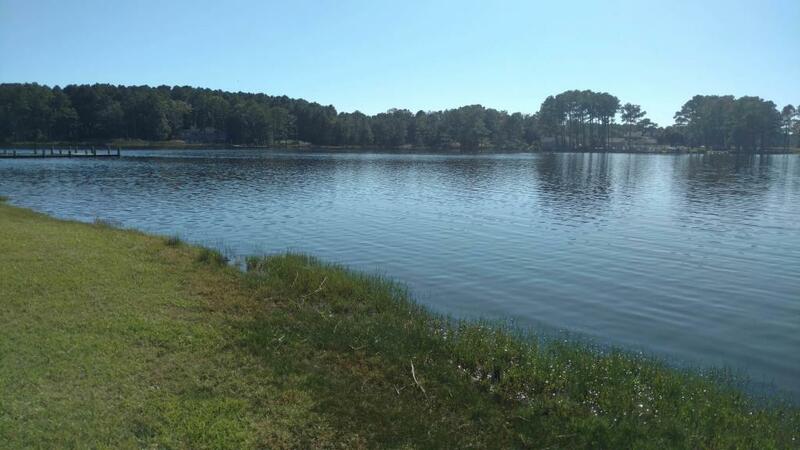 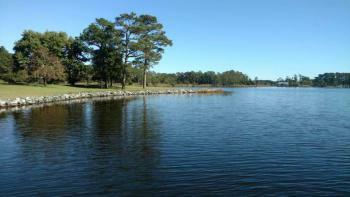 There is approximately 2000 feet of protected shoreline with dock for boating and kayaking. 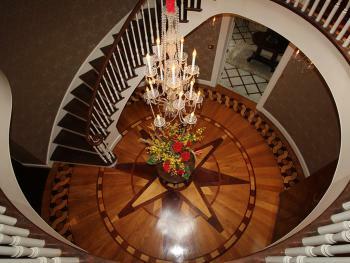 Kingsbay has thirteen thousand square feet of living space and boasts a three-story rotunda with a domed skylight and Belgian crystal chandelier. The music hall offers vaulted ceilings, another stunning chandelier, grand piano and large theater organ. 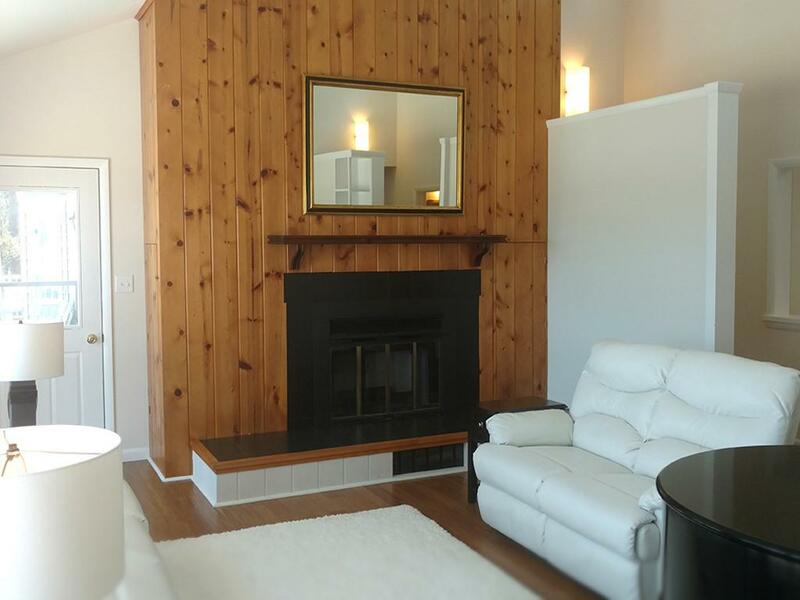 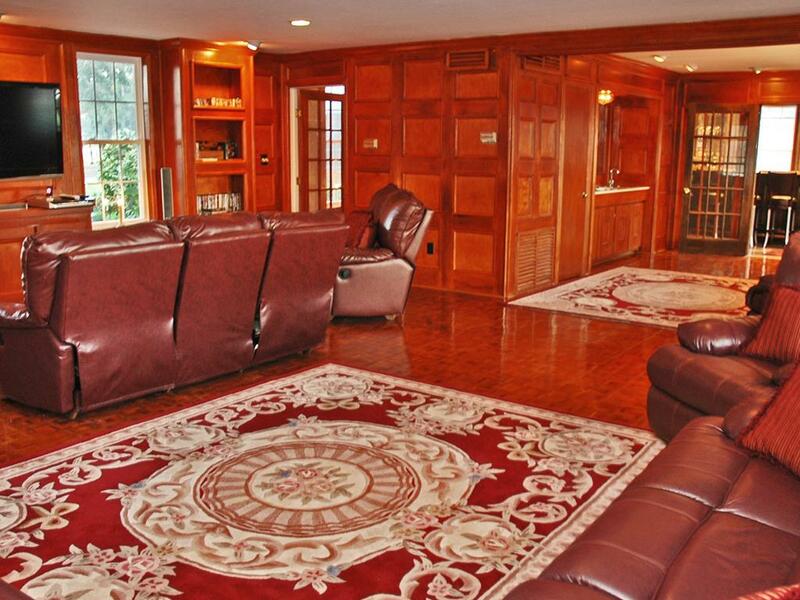 The formal living room is designed with a doublewide fireplace and an impressive beamed, crown molded ceiling. 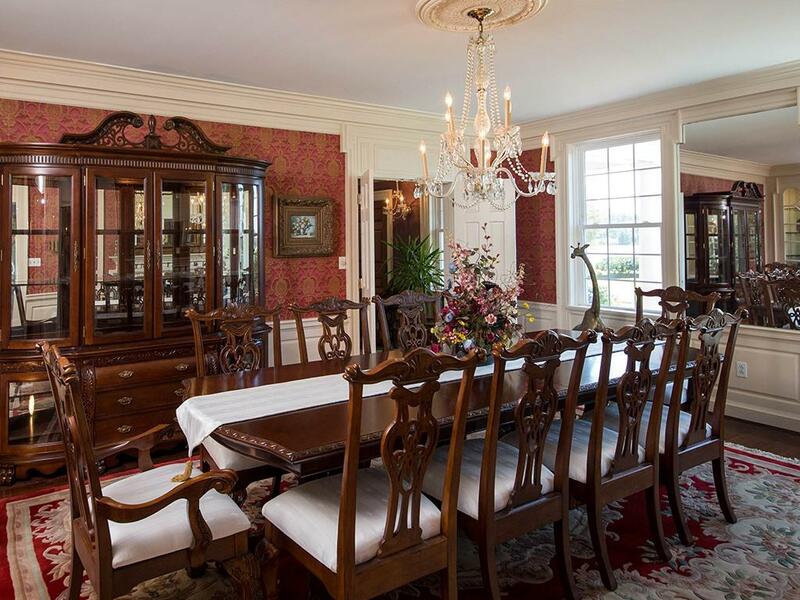 The formal dining room has a Chinese Chippendale theme with built-mirrored china cupboards, fireplace and chandelier. 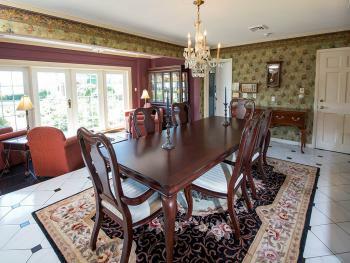 Other rooms include the family dining room, breakfast room, lounge bar, rear foyer bar, wood paneled library and more, all designed with 7 different types of hardwood and marble flooring. 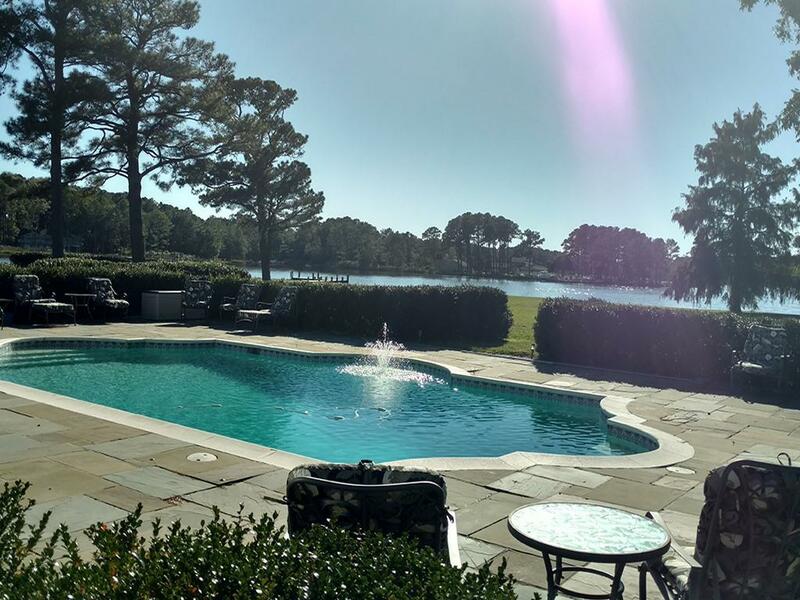 There are two fully stocked bars and the in-ground Grecian swimming pool with slate deck and fountain is available April through November, allowing magnificent views of the waterfront and the manicured Japanese gardens. 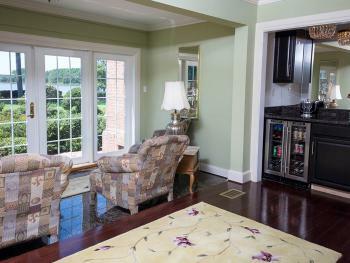 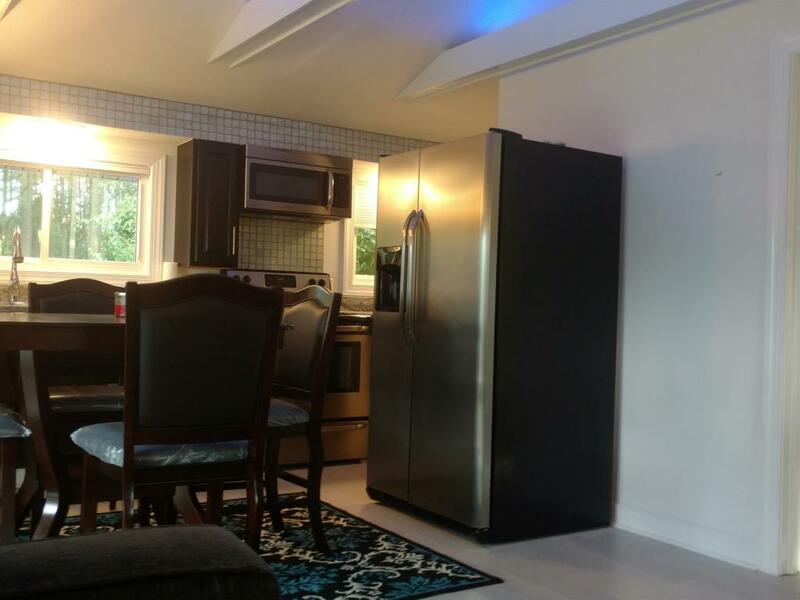 There is also Kingsbay Waterside Retreat and it's Cottage for vacation rentals that will sleep an additional 14 people. 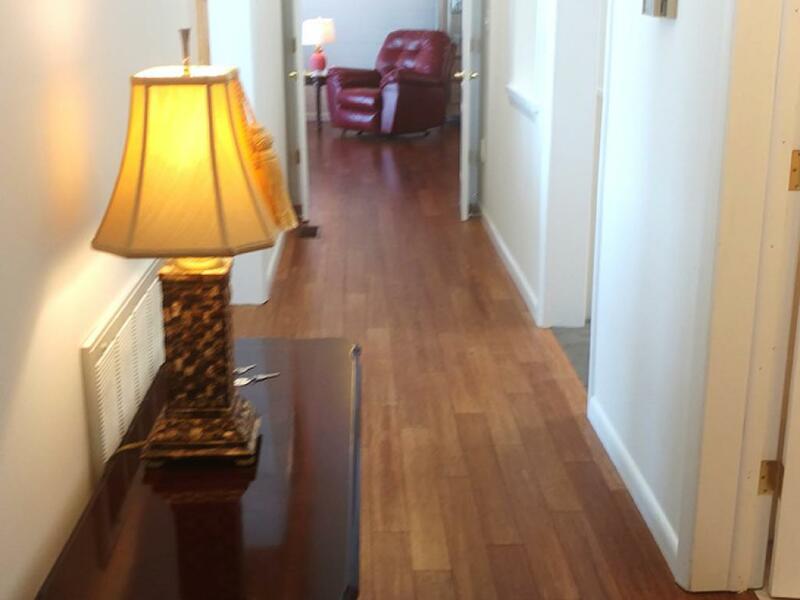 We do not provide any special facilities for people with disabilities.